The court system is by nature designed to be slow to change, dependable, predictable. Yet the courts are charged with tackling challenges that don’t stand still. Courts have evolved tremendously over the centuries to adapt, even as we think of them as relatively stable and un-moving. 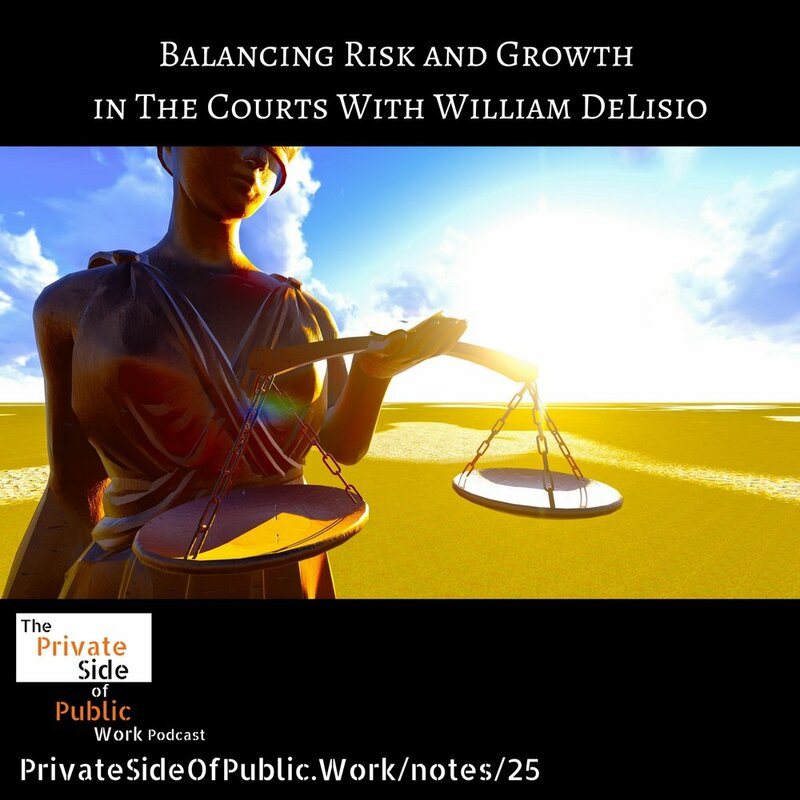 William DeLisio provides us a window into how he has effected positive change within the court systems by introducing risk and growth, in fair measure of course. William serves as the Family Law Programs Manager in Court Services Division of the Colorado State Court Administrator's Office. During his 20 years with the judiciary,William has worked closely with Judges, Magistrates, Clerks of Court, Court Administrators, and numerous governmental agencies and community organizations. The issues that he has worked on range from juvenile dependency and neglect, probate, domestic relations, Dispute Resolution, child support, court-appointed professionals and distance learning. Although William discusses his experience working within Colorado State court system, the views that he expresses on this show are his alone and he is not coming on as an official representative of the state.